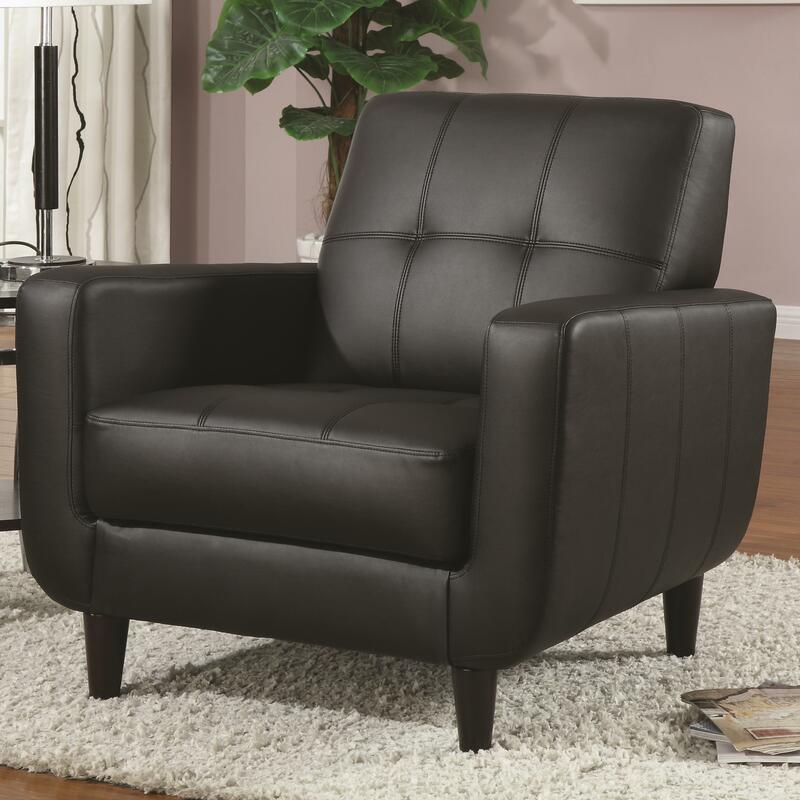 Provide the perfect modern touch to your living room decor with this accent chair. The piece is available in black vinyl upholstery with track arms, removable seat cushion and decorative stitching. Plus, the cappuccino finished round legs add distinctness. Make your home setting complete with help from this contemporary upholstered chair. The Accent Seating Accent Chair w/ Round Wood Legs by Rooms Collection Two at Rooms Furniture in the Houston, Sugar Land, Katy, Missouri City, Texas area. Product availability may vary. Contact us for the most current availability on this product. The Accent Seating collection is a great option if you are looking for Mid-Century Modern Contemporary furniture in the Houston, Sugar Land, Katy, Missouri City, Texas area.